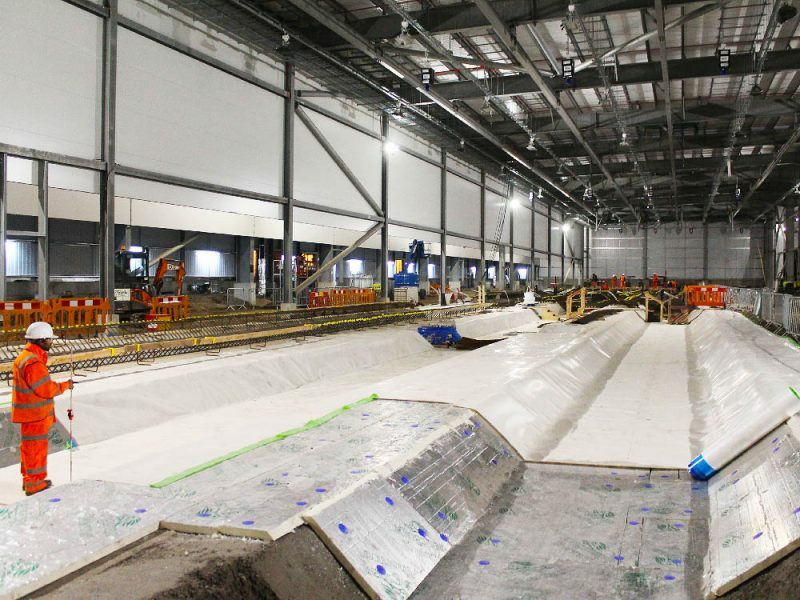 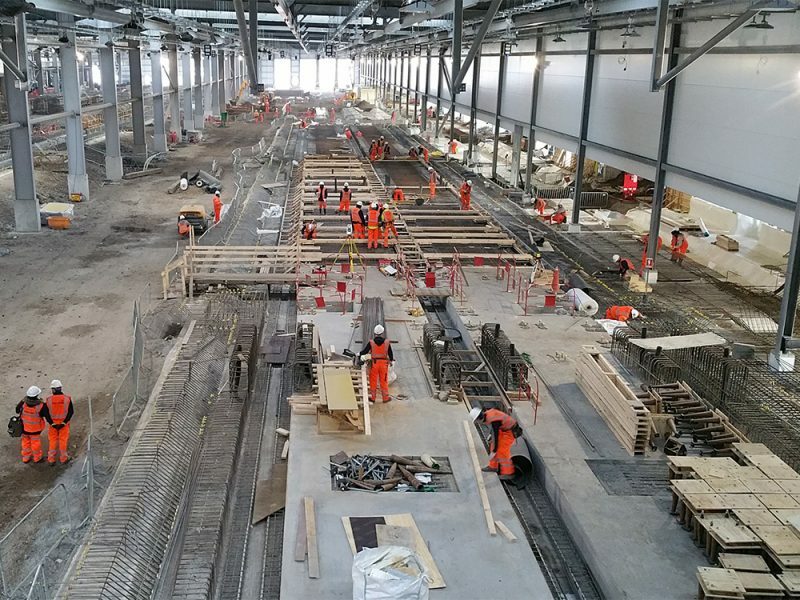 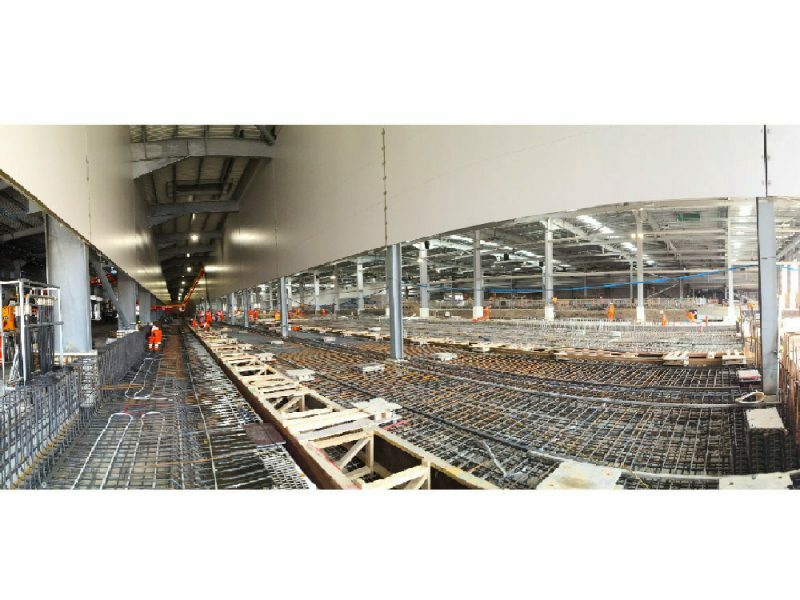 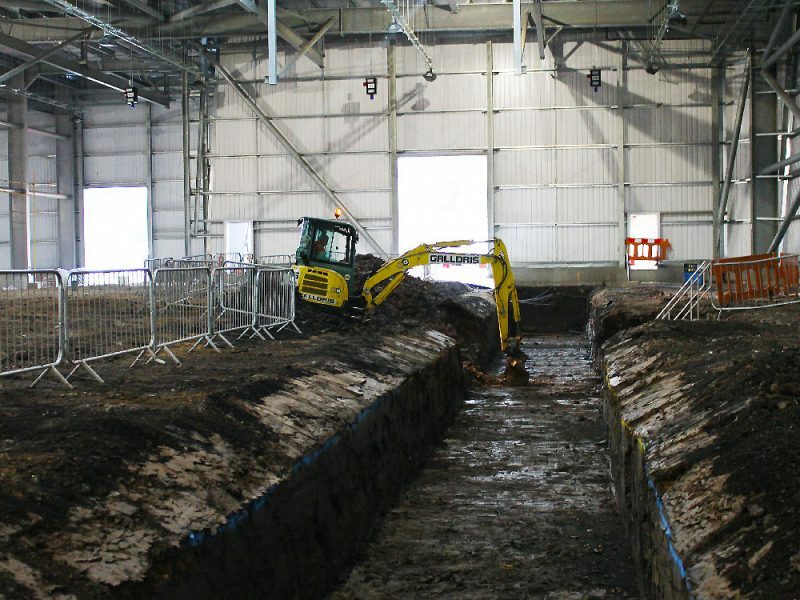 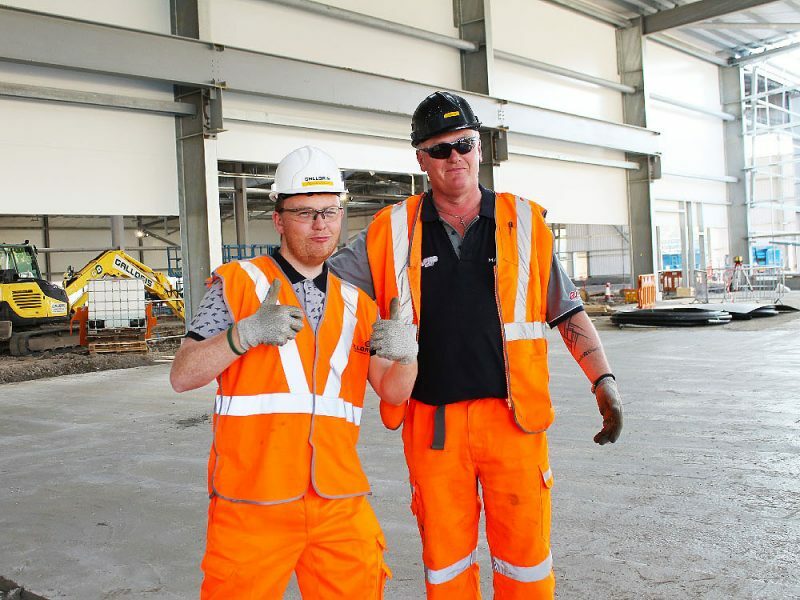 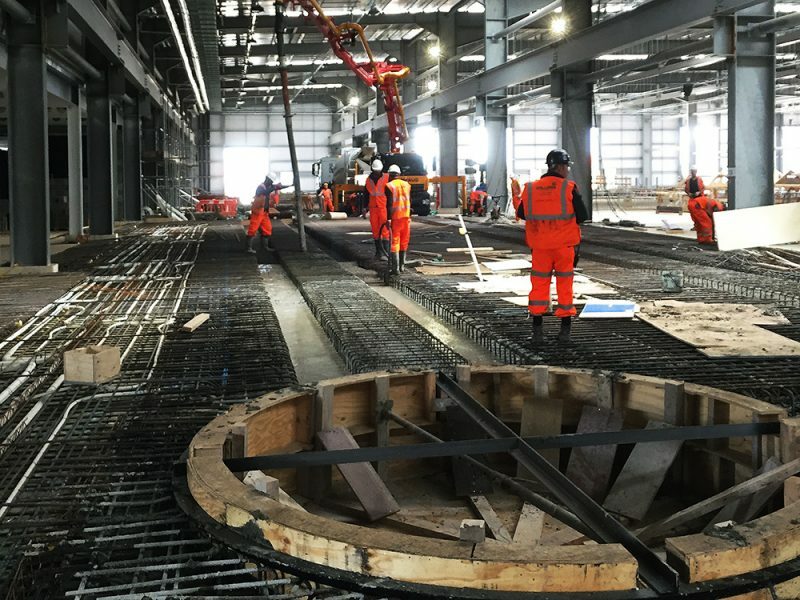 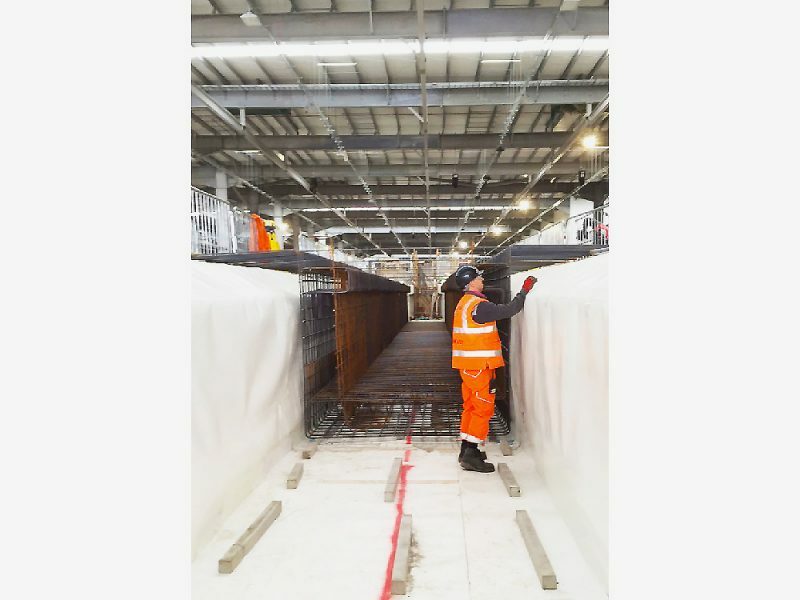 Bombardier Transportation UK Ltd awarded Taylor Woodrow the £142m construction contract for the depot which includes overnight stabling sidings for 33 trains and a state-of-the-art 9-track train maintenance building. 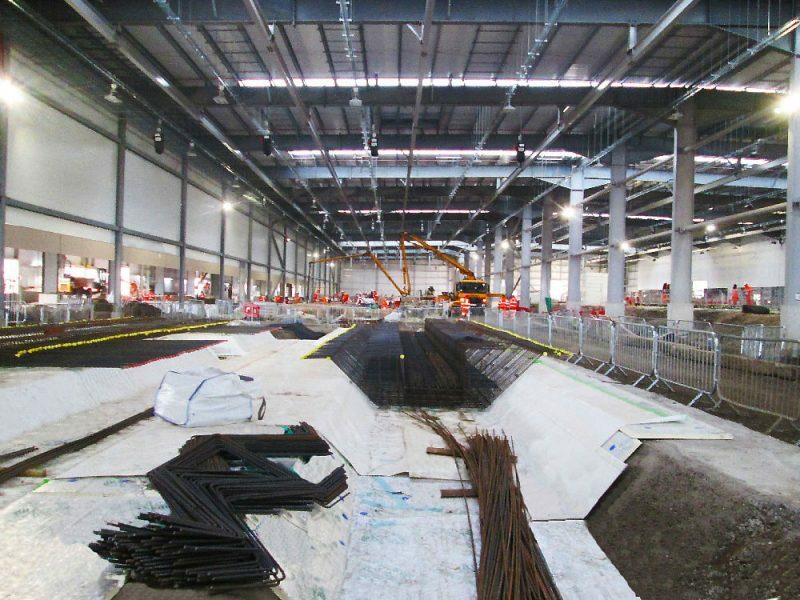 The depot will be become operational in stages between May 2017 and May 2018. 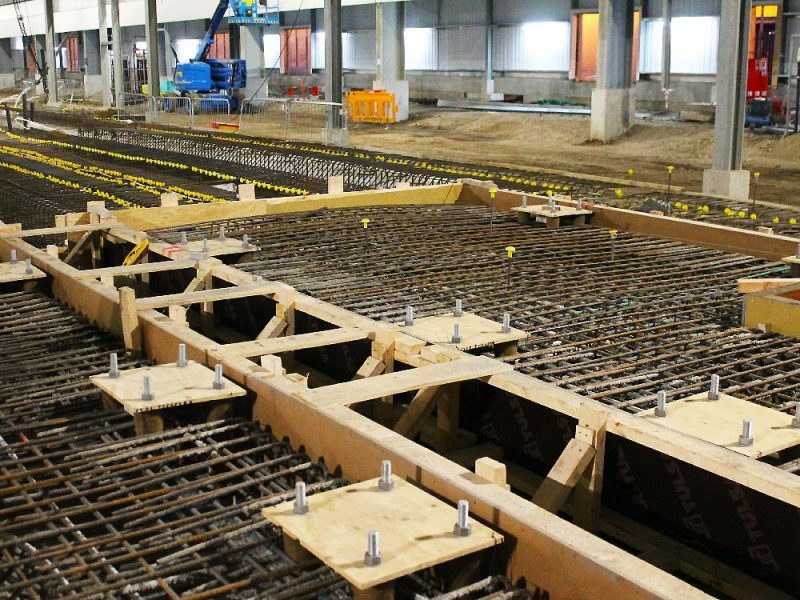 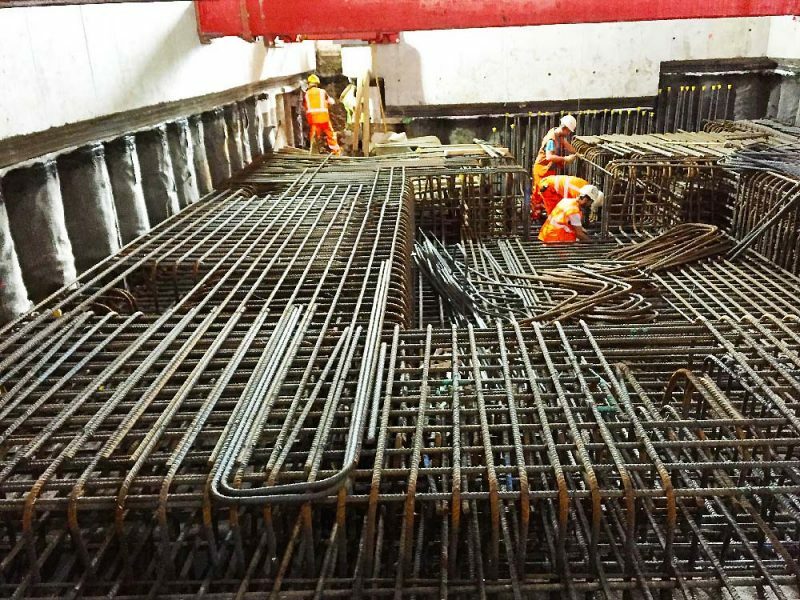 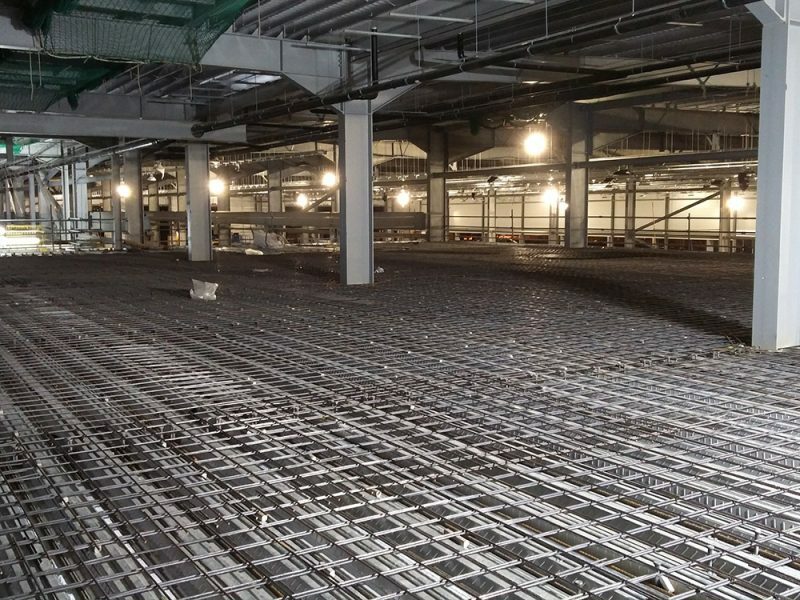 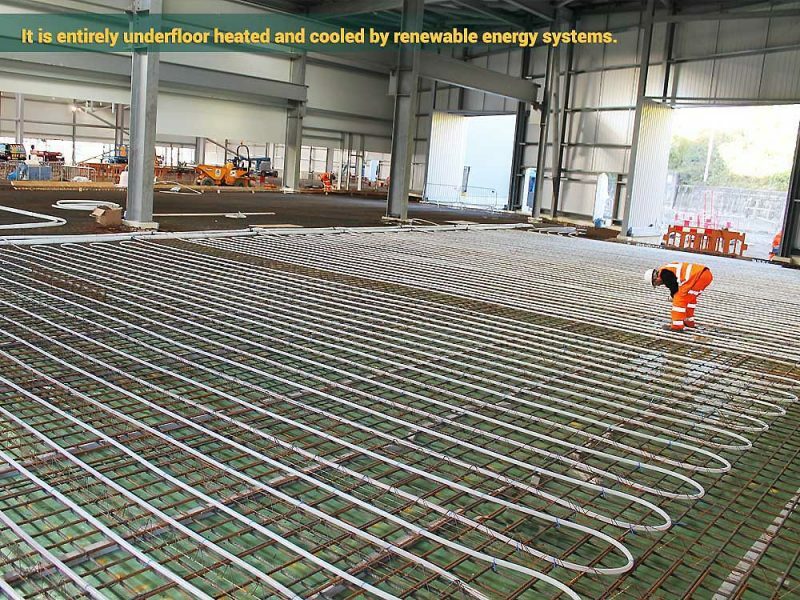 The building construction is a steel frame cladded build on piled foundations with ground source heating conducted throughout via 1000s of metres pipework. 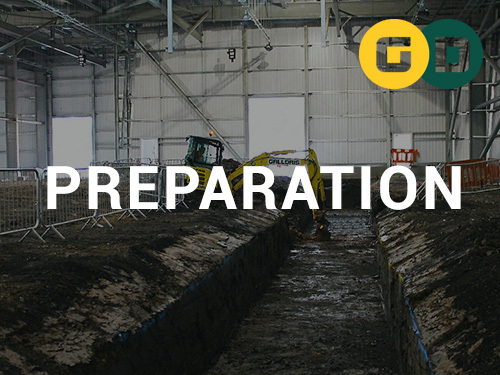 The overall shed dimensions are 240m long by approx. 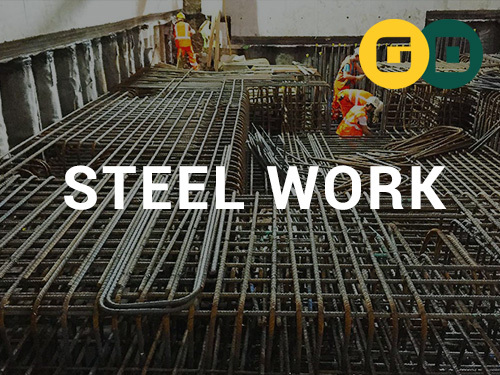 145m wide, Galldris built the pile cap bases for steel frame structure. 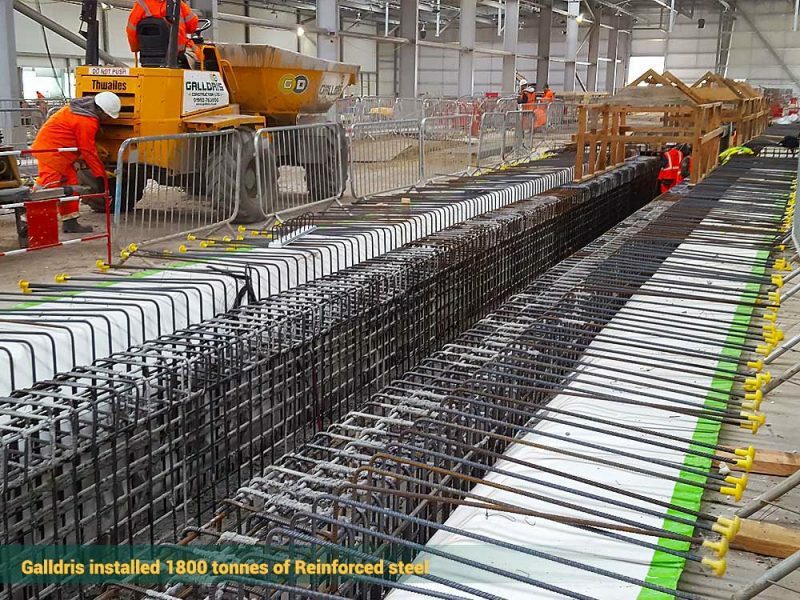 Galldris delivered 6 light maintenance concrete steel reinforced pit roads 500mm deep, 3 heavy concrete steel reinforced maintenance pit roads 1600mm deep, totalling together 9 under carriage maintenance lines, each approximately 220m in length. 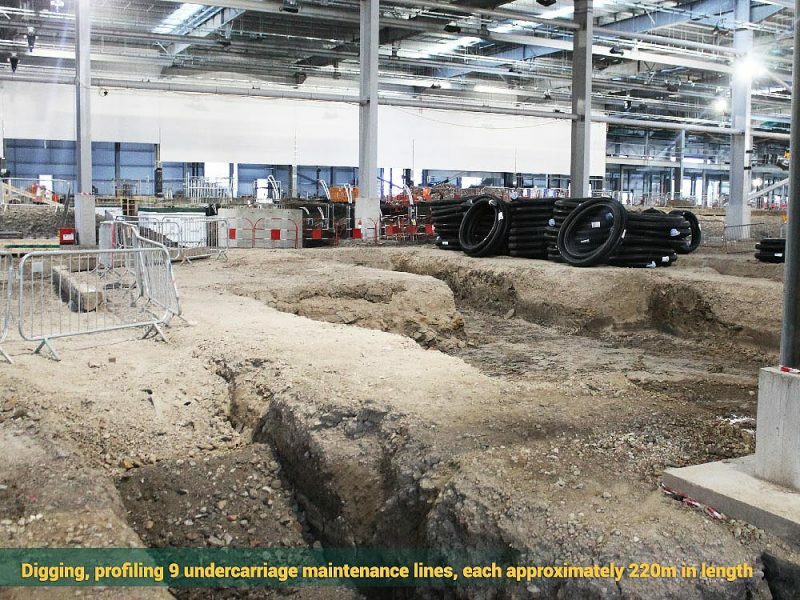 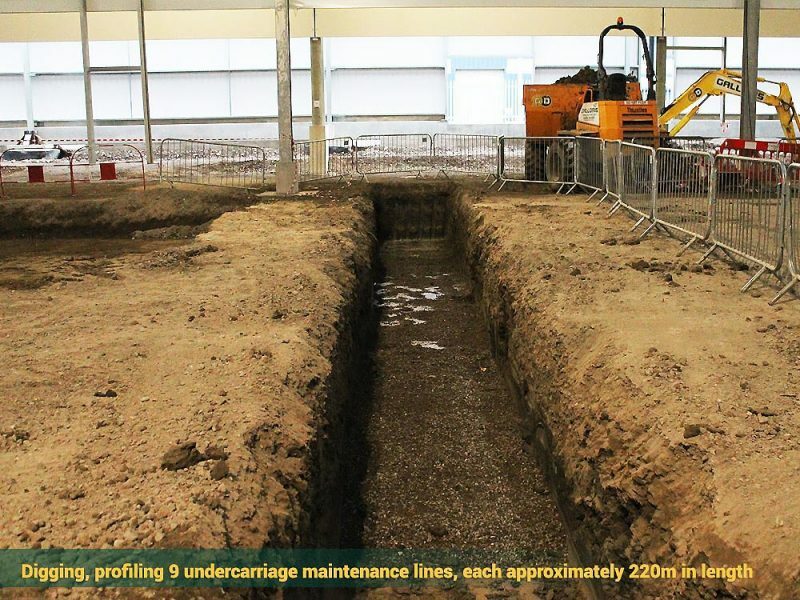 Works also included a wheel lathe 15m x 5m wide x 4m deep and a bogie pit 30m long x 6m wide x 7m deep. 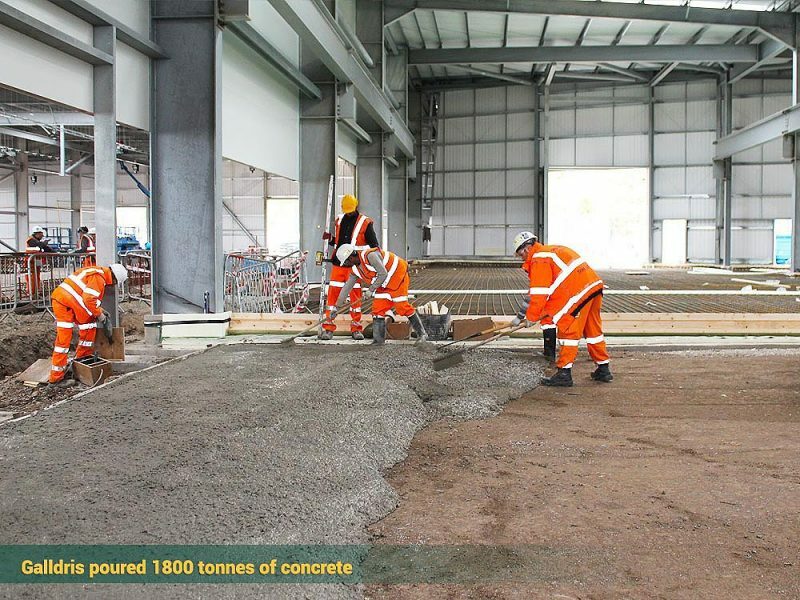 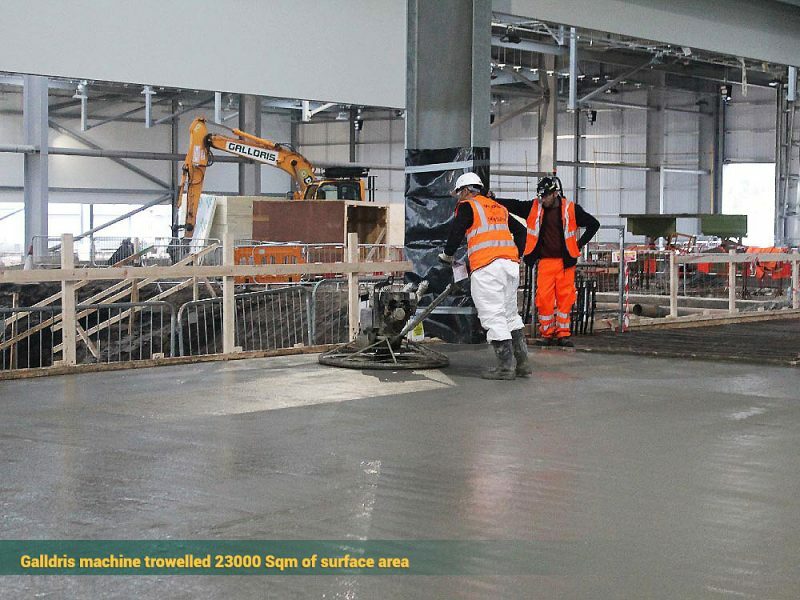 18000 tonnes of concrete was poured and 23000m2 was machine trowelled. 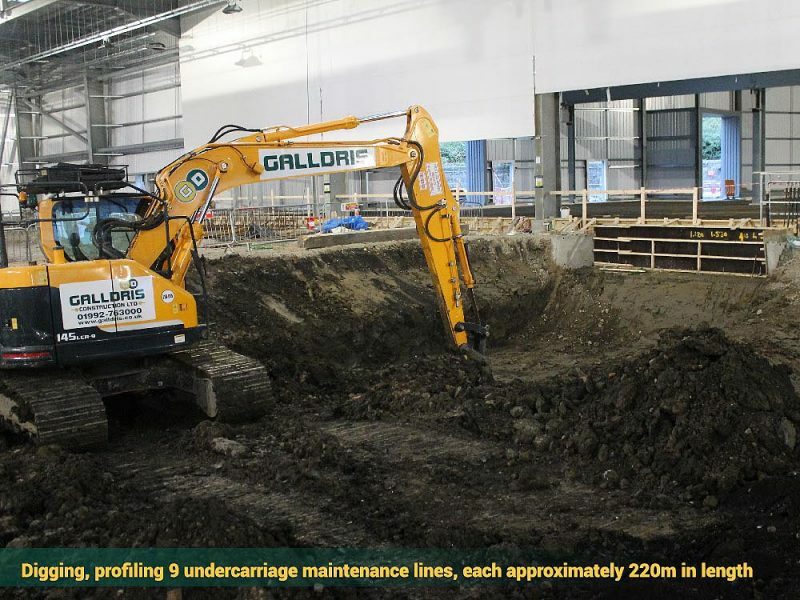 Galldris completed all external services and drainage works. 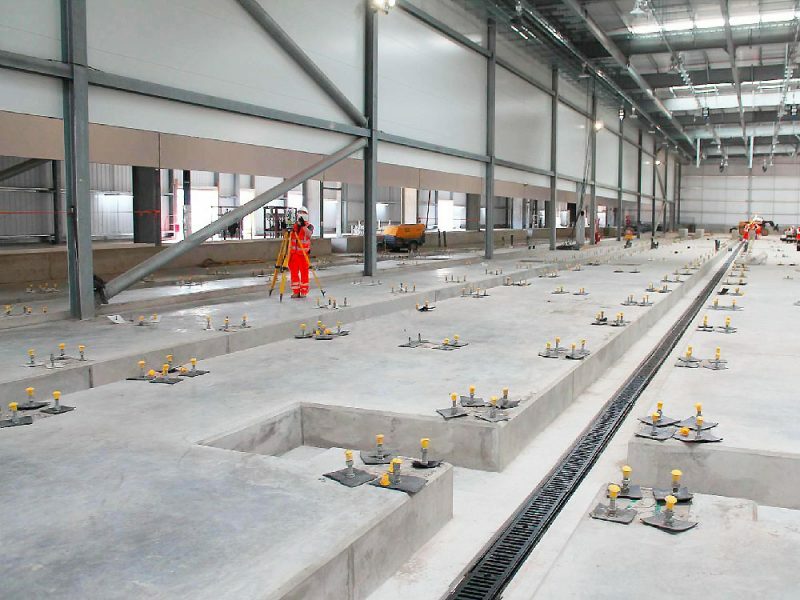 70m long retaining wall and concrete bases to DNO, transformer, generator, etc. 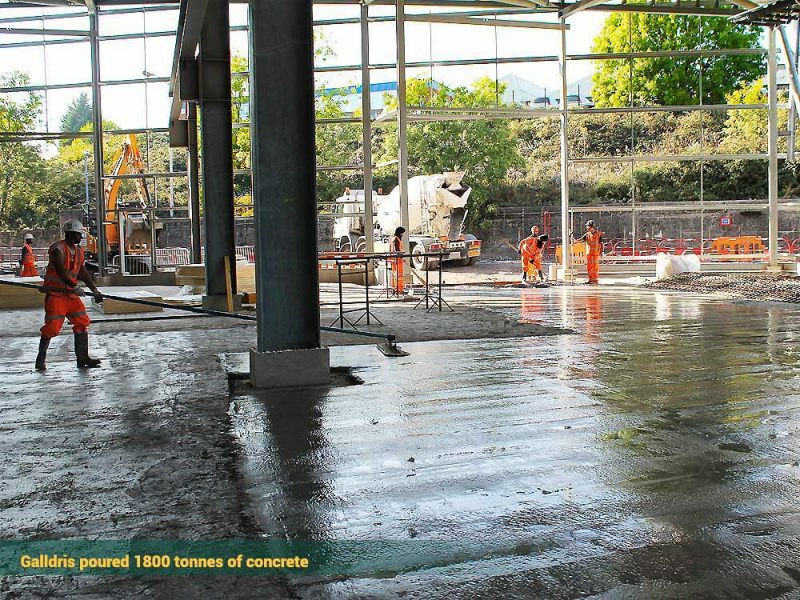 Utilised a concrete pour system to eliminate horizontal joints This had a positive impact Quality wise and the finish product reflects this. 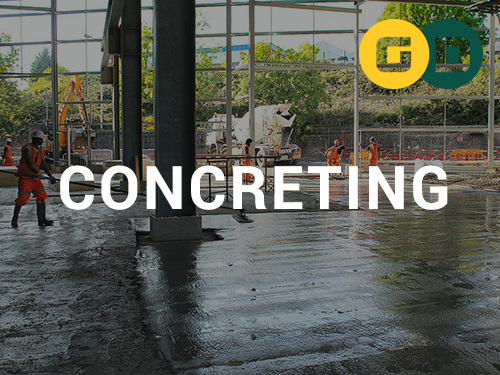 The construction methodology implemented by Galldris eliminated the requirement of substantial size propping installation - and its installation risks – along with the risk of working at height while constructing these slabs. 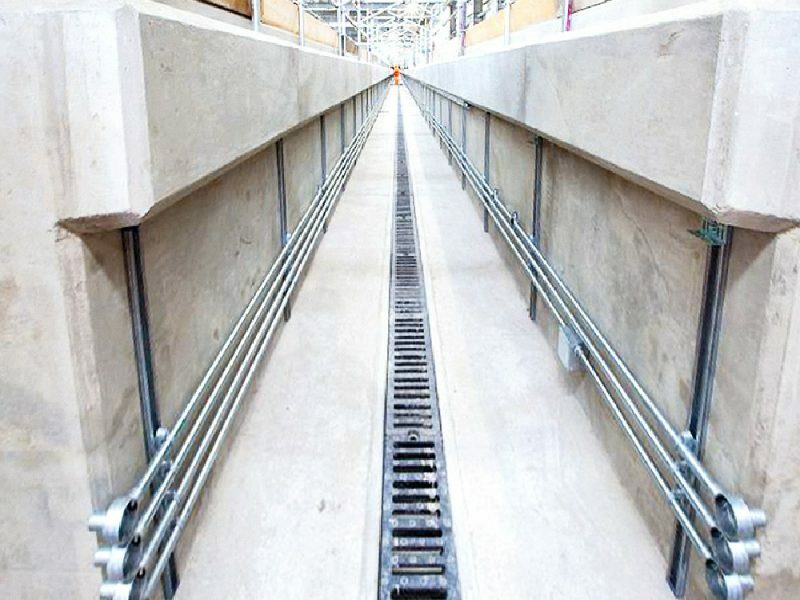 Along the pit road channels, “U” bars were replaced by continuity systems of reinforcement “conty bars”. 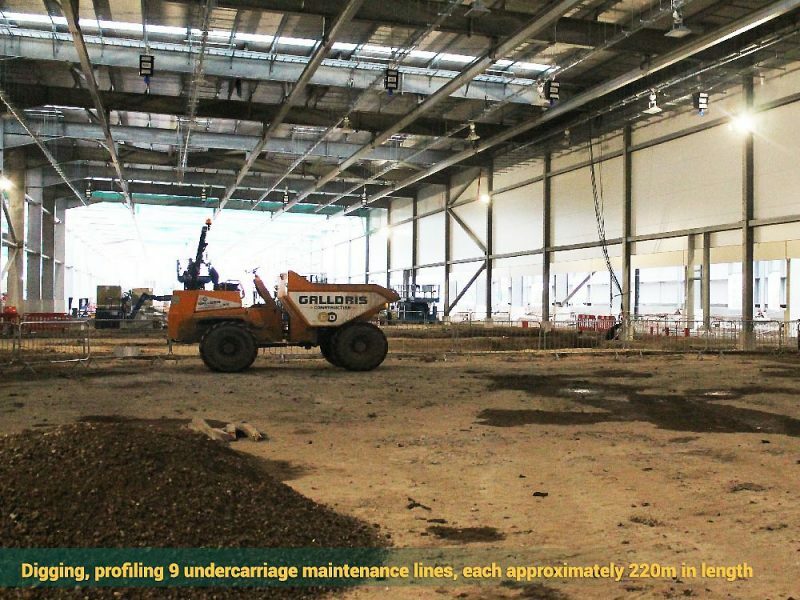 Strong input from Galldris in regards to temporary works throughout the project. 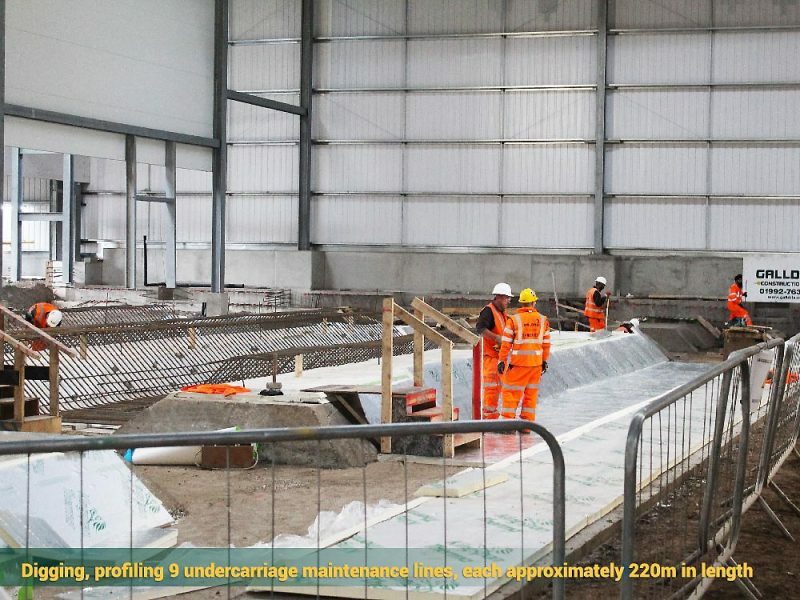 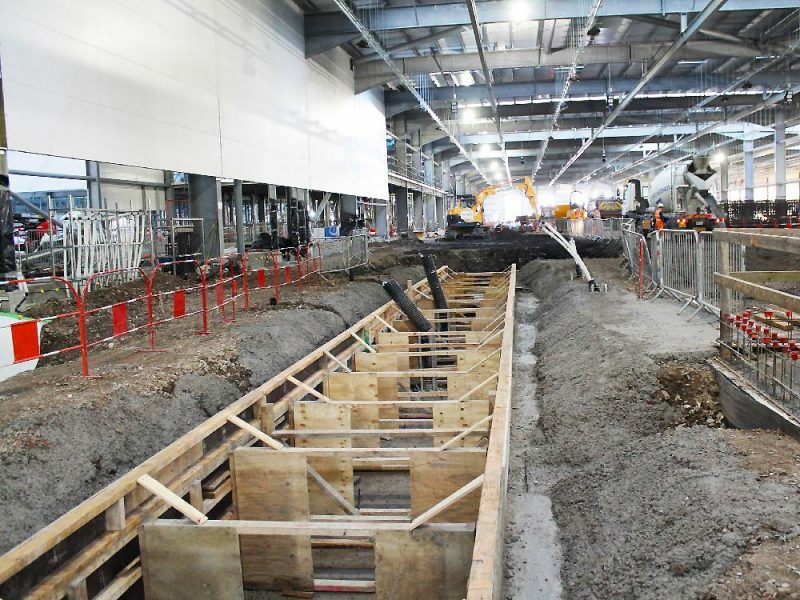 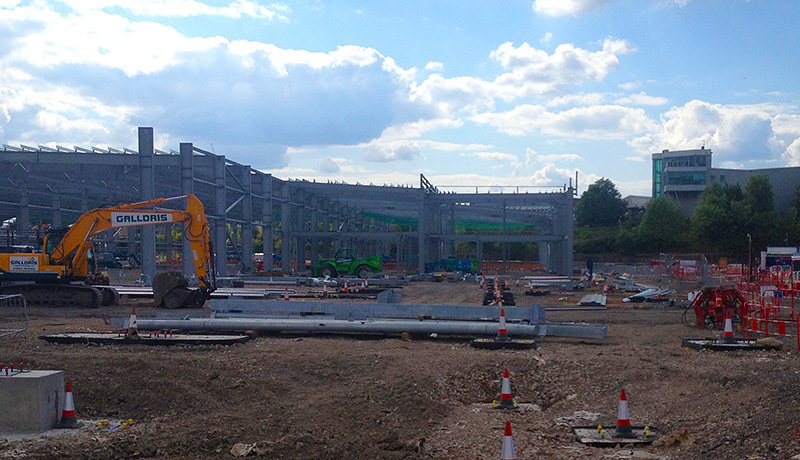 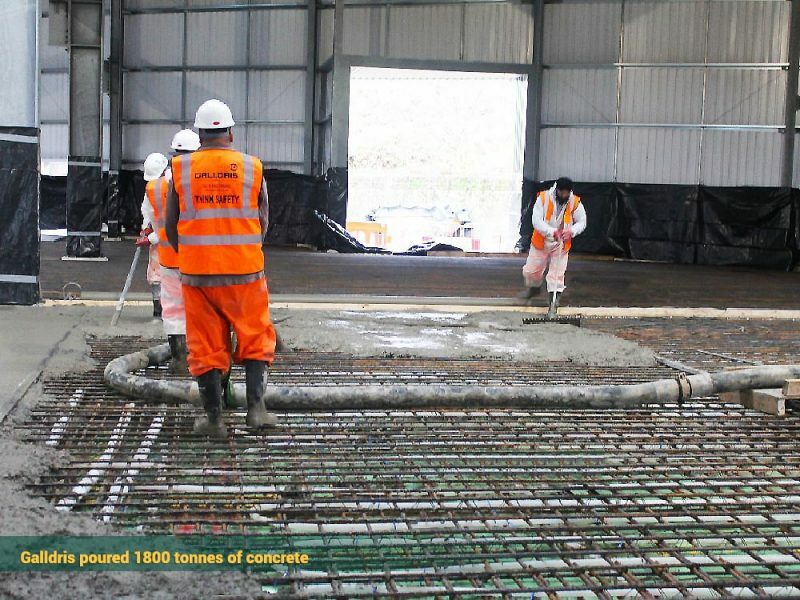 In particular, to the bogie drop pit where the suspended slabs were poured first before digging of the actual pit. 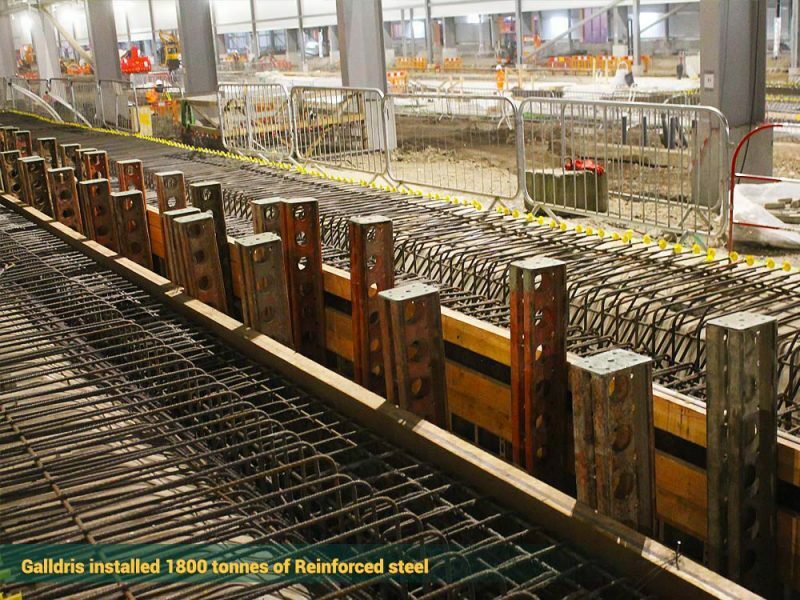 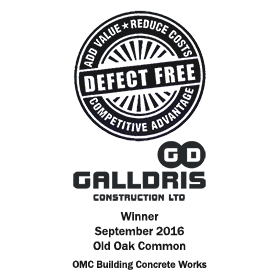 Galldris Project Team were awarded, a “Defect Free“ Quality Award for the Reinforced Concrete Works.